Every home computer and similar device needs a router in order to connect to various networks and the Internet. While buying a router and connecting it might seem like simple work, it’s much more intricate than this. One step that many people often forget to do is to secure their home router. By not securing your home router, it can lead to hackers stealing any information you might have on your devices. This can have drastic effects as it can affect your finances and personal information. Because of this, it’s important to protect your home router, but surprisingly many often don’t know where to start. This article will walk you step-by-step through the router security process to ensure your information stays safe. Protecting your router is vital if you want to keep your information safe from unauthorized access. If a router does not encrypt your information, hackers can take that and use it to their advantage. By securing your router though, this can all be prevented and you can rest assured that your information is safe. 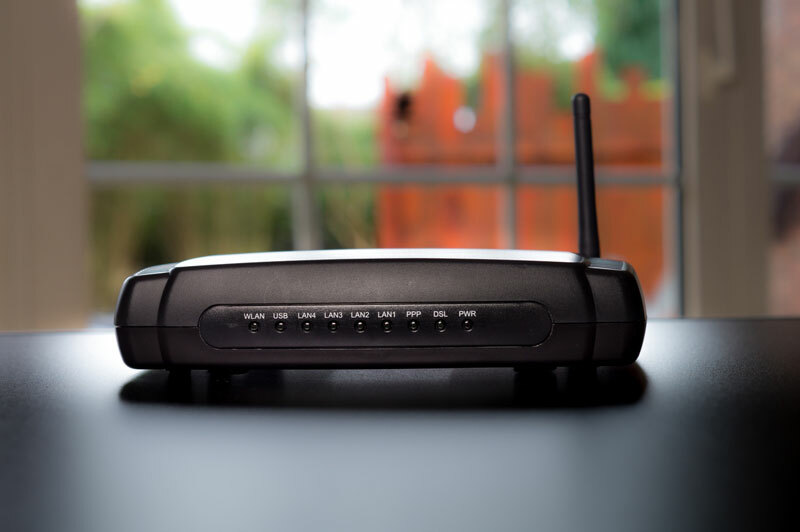 There are a few important steps you need to take in order to secure your home router. You’ll find the steps to follow listed below. Keep in mind though that each router is different and requires certain things. However, the steps mentioned below are some of the main ways you can do so. The first step is to choose a security method to connect the router to. You’ll often have to choose between a WPA or WPA2 security mode which can help to better secure your router. Both of these are often suggested over WEP because they’re modern choices and have better protection. Home routers sometimes come with their own password printed on the bottom of them. While this can be helpful, it isn’t always the most secure method. Because of this, you’ll want to change the password to something only you know. The next step to help secure your router is to turn on the firewall. The router’s firewall is different from your computer’s so it’s important to ensure that you turn both of them on. You can access this by opening the router’s settings page. Then, you can type in your IP address to access the firewall configuration options. This will activate the firewall settings so your router is secure. Remote access is a feature that allows anyone who connects to your router to view its settings. It’s a good idea to remove this as some might try to access your router to get through to your network. You can usually change this by opening your computer’s administrative settings. Here you’ll find the option to opt out of the remote access feature. Securing your router doesn’t have to be difficult. With the steps mentioned above, you can be sure that your network’s information will be secure. This will help to prevent hackers from getting personal data and unauthorized access to your information. By doing things like turning on your router’s firewall, blocking any remote access to devices, and changing your password, your router will be better protected from hacking. Many people often don’t know where to start when it comes to protecting their router. This is understandable as sometimes technological devices can be a little tricky to use. However, with the tips mentioned above, you can work to help safeguard it from possible attacks. With them, you won’t have to worry about your information being compromised or stolen by others.